The entrance to the Lansing Recycling Center on Cedar Street is pictured Dec. 12, 2018. Every four years, it’s mandated by law that the U.S. Global Change Research Program provide a report to Congress on the state of global climate change. In November, the Fourth National Climate Assessment was published by the research program. The report interprets the findings of the research program, analyzes the effects of global change on the environment and analyzes current trends in global change, both human-induced and natural. Sections in the global portion of the report include portions about communities, actions to reduce risks, ecosystems and water. The report also further analyzes specific regions, with a chapter devoted to the Midwest. “Future risks from climate change depend primarily on decisions made today,” the report says. Local governments and businesses already are dealing with the issues the report addresses. 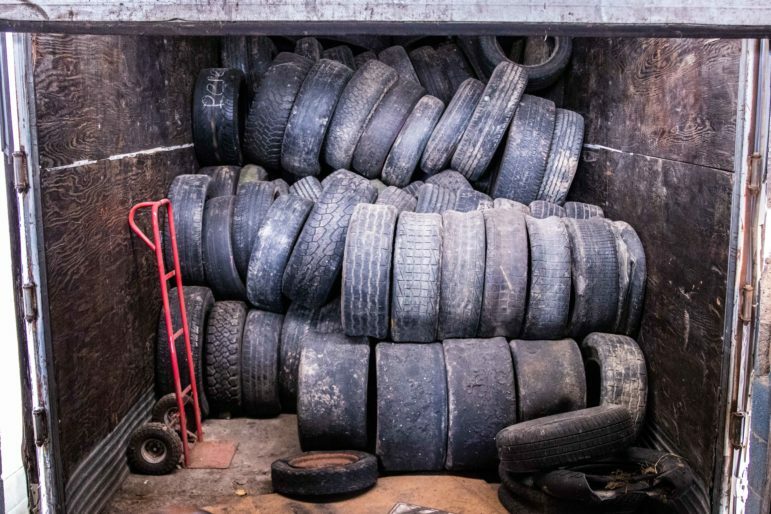 Tires to be recycled sit in a trailer outside the Lansing Recycling Center facility on Cedar Street on Dec. 12, 2018. 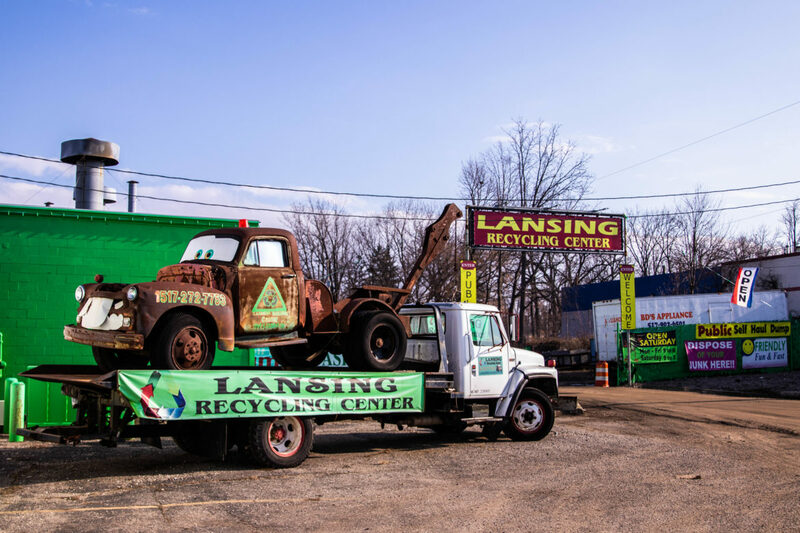 One business in the Lansing area making a positive environmental impact is the Lansing Recycling Center. 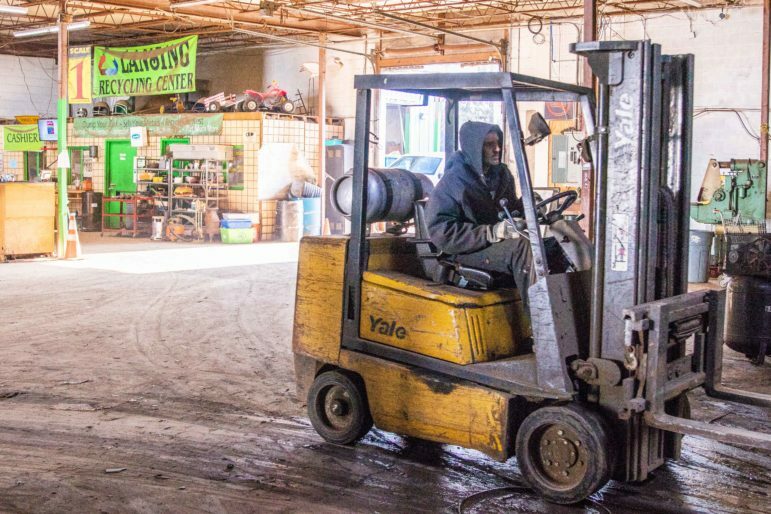 The center is a self-haul public dump that processes everything from yard waste to tires to paint and chemicals. The company processes 10-13 tons of material daily, and that material would otherwise likely end up in landfills. The center pays for drop-offs from the public based on the type of material. It’s then processed at the facility, with as much of the material being kept out of the landfill as possible, Nally said. 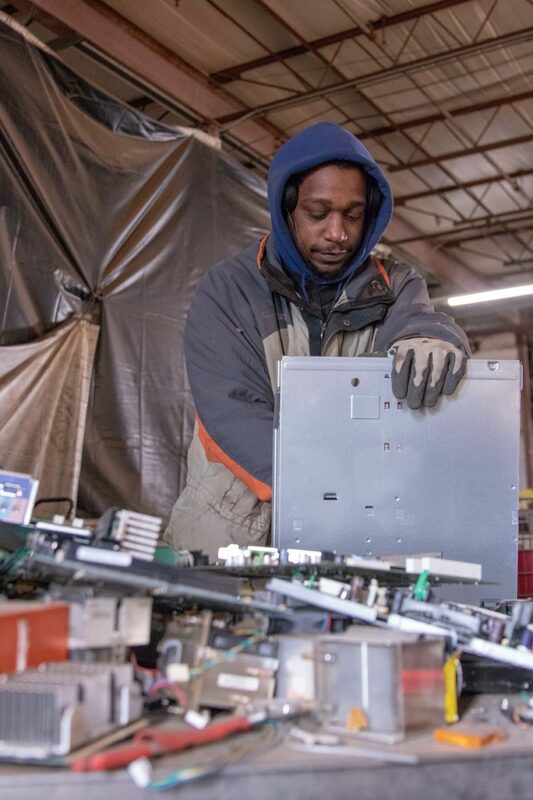 Rashad Bond, the self-described “computer guy”, works at the Lansing Recycling Center facility on Cedar Street on Dec. 12, 2018. This type of recycling has an impact on the global climate, according to the report, though more action is required. The report talks about the need for regional adaptation, but still stresses the importance of local action. ‘Mitigation and adaptation actions also present opportunities for additional benefits that are often more immediate and localized, such as improving local air quality and economies through investments in infrastructure,” the NCA4 says. The city of East Lansing has several efforts to reduce its environmental impact. ity councilmember Aaron Stephens said he is excited about some of these efforts, despite some of their more boring appearances. Producing power from sources other than coal and natural gas is a priority,Stephens said. The city’s plan for the anaerobic digester contributes to this goal. The federal climate report stresses the importance of these kind of local efforts on reducing global climate change. “The impacts of climate change are already being felt in communities across the country,” it says. These impacts can be seen in more frequent and intense weather events, not unlike what East Lansing saw last year during the spring. An employee of Lansing Recycling Center drives a forklift through their facility on Cedar Street on Dec. 12, 2018. A community directly impacted by the flooding Red Cedar River was Michigan State University. During February, large portions of campus flooded completely including the baseball and softball field. These plans were prepared to prevent damages in the event of another large-scale flood — which becomes more likely with increased climate change. The climate report talks about increased flooding, specifically in the Midwest, as an issue to be prepared for. “Average annual damages from heightened flooding risk in the Midwest are projected to be in excess of $500 million (in 2015 dollars) by 2050,” the report says. The report also talks about the mental effect of large-scale flooding as a risk to prepare for. “Mental stress following flooding events can cause substantial health impacts, including sleeplessness, anxiety, depression, and post-traumatic stress disorder,” the report says.